Four elderly ladies have been sharing their lives in Violet's rented house, pooling their pension books and sharing chores. After a mugging Violet dies, but needing to hold on to her pension book (not to say the house's rent book!) 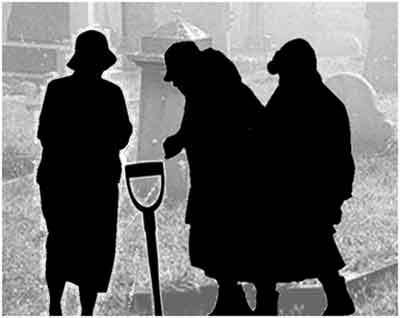 Marge, Lottie and Doris omit to tell the authorities and leave Violet's body peacefully in the cemetery.